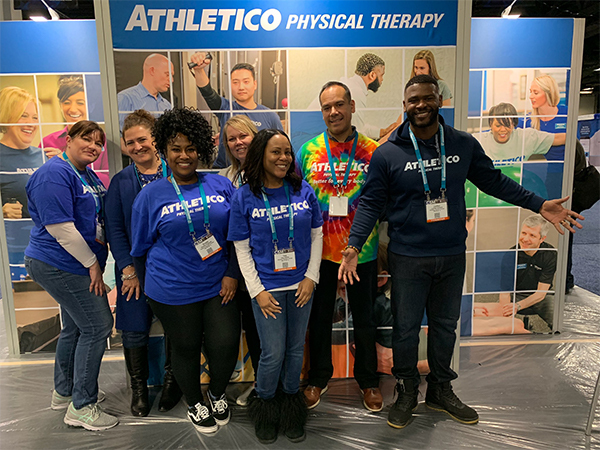 Our team had a great time networking with more than 16,700 physical therapy professionals during the American Physical Therapy Association’s (APTA) 2019 Combined Sections Meeting (CSM), which took place in Washington D.C. from January 23 – 26. 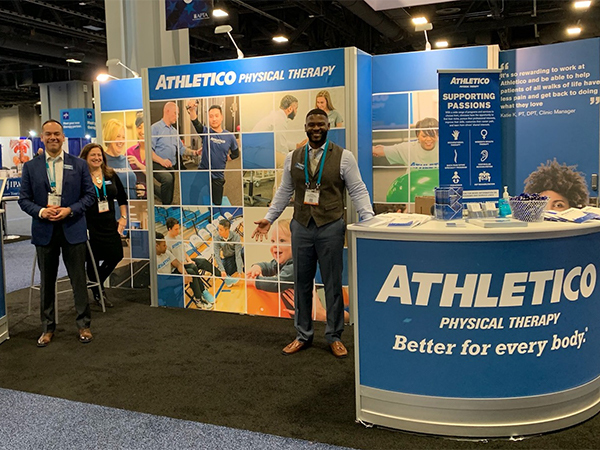 Athletico clinicians along with members of our leadership and talent acquisition teams had the pleasure of connecting with attendees in the exhibit hall and at a variety of events throughout the four-day conference. 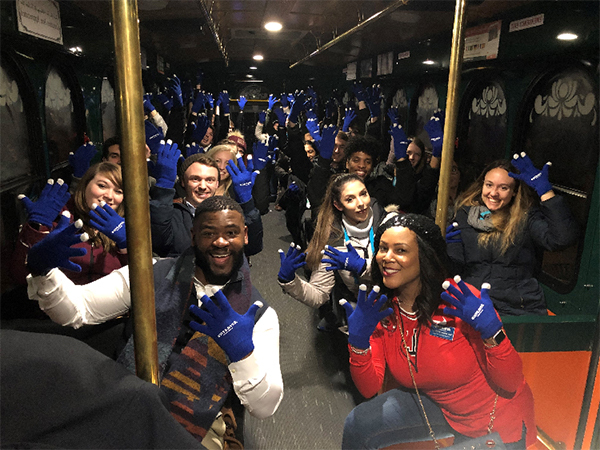 One of the highlights from the trip was the Athletico trolley ride, which took a group of physical therapists on a nighttime tour around Washington D.C. to view some of the country’s most historical monuments. 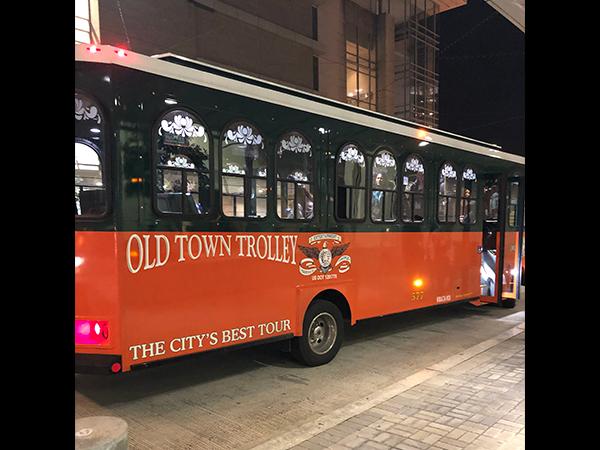 Read below to learn more about the experiences our team had at the conference. 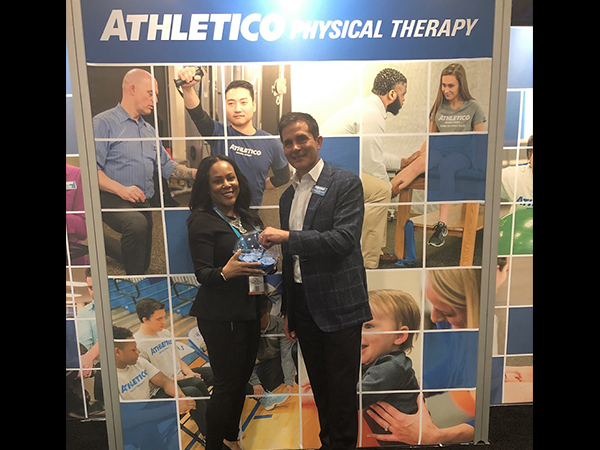 “It was truly an honor to represent Athletico Physical Therapy at APTA’s 2019 CSM! 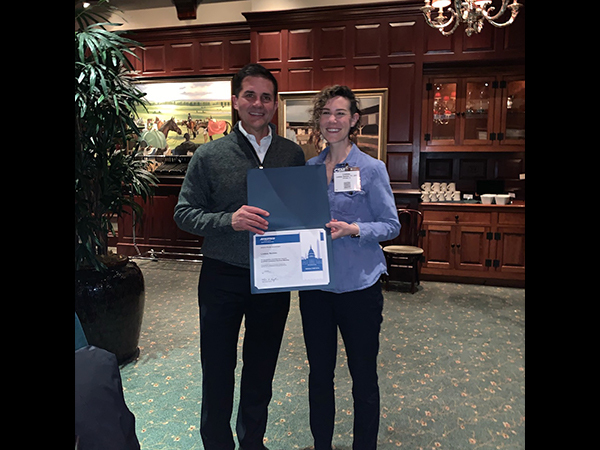 I’m always so inspired by the students that I interact with and I trust that they are also able to glean energy and insight from me. 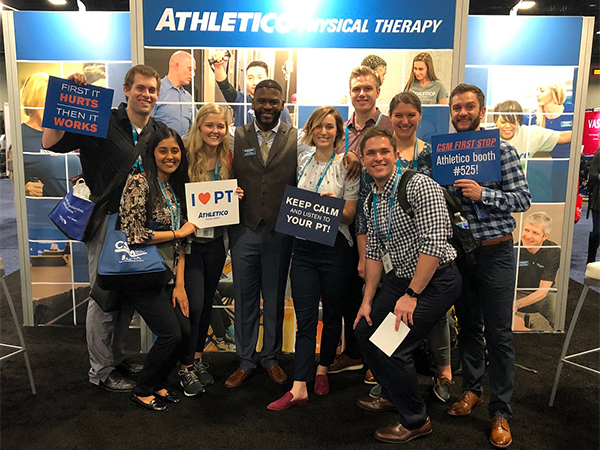 I was particularly galvanized by the number of men and women of color (students and clinicians alike) thriving in the field of physical therapy! 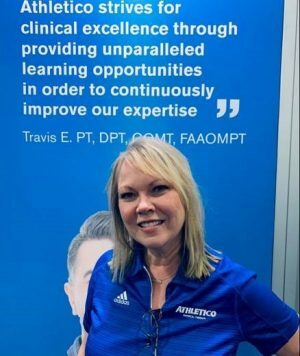 It was encouraging to have conversations, share experiences, and encourage each other professionally. 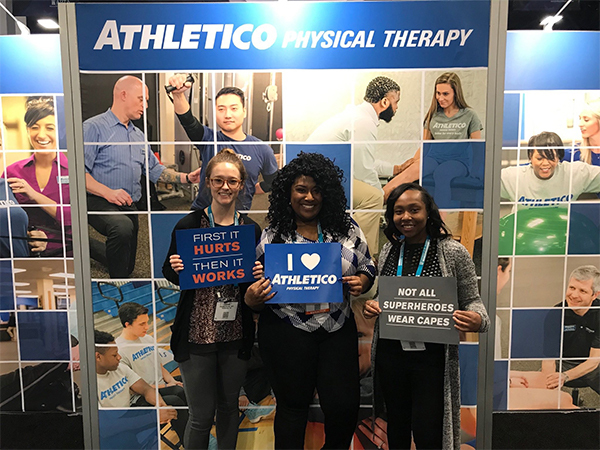 For all APTA members, 15.5 percent are of minority race or ethnicity and only 2.6 percent are black according to recent APTA member data. 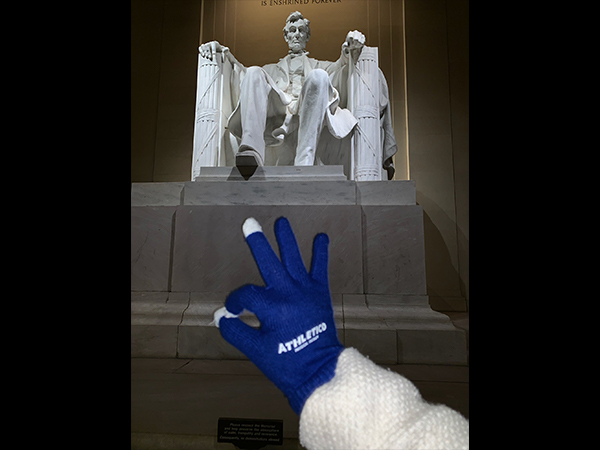 “I truly enjoyed my first experience at CSM and in D.C. 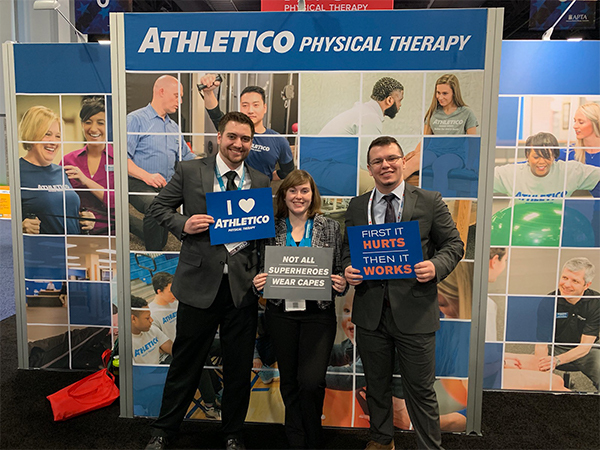 It was exciting to see all the vendors, physical therapists, and students come together to support the physical therapy profession and its future! 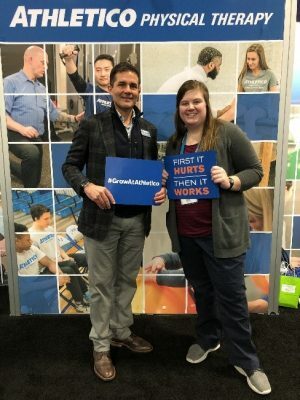 The daily hustle and bustle of the event was energizing to say the least. 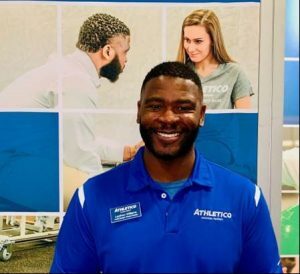 My favorite part was my conversations with all students, especially the third year students! To see the look on their faces and excitement in their voices was confirmation that I was meant to be there. 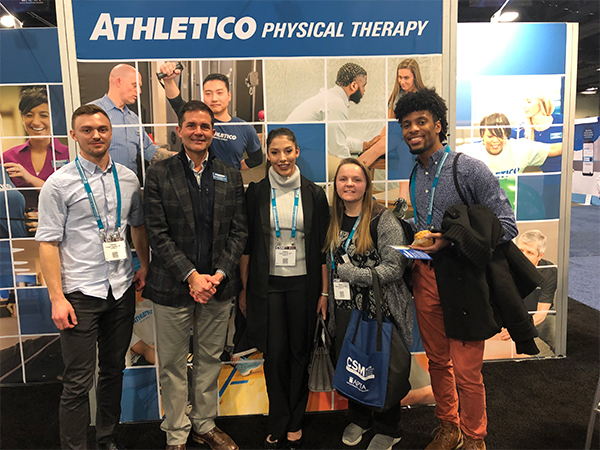 They came equipped with a lot of great questions about Athletico, the day in the life of a new physical therapist, our processes and how we differentiate ourselves in the market. They walked away impressed at all that we can offer and teach them. 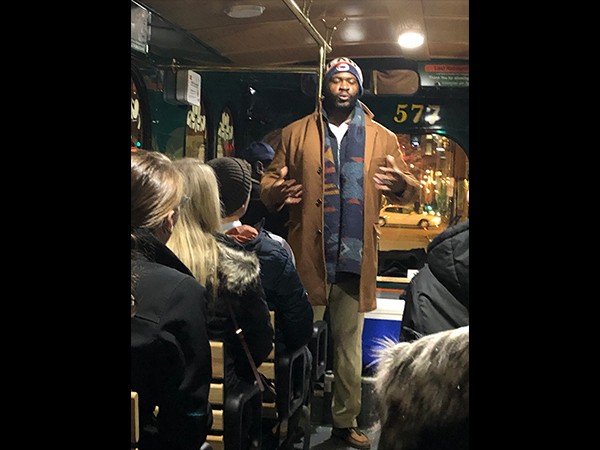 The trolley ride offered an excellent way for us all to see D.C. together and to further develop relationships with those in attendance! 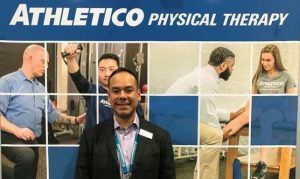 View more of the highlights from CSM 2019 in the slideshow below. 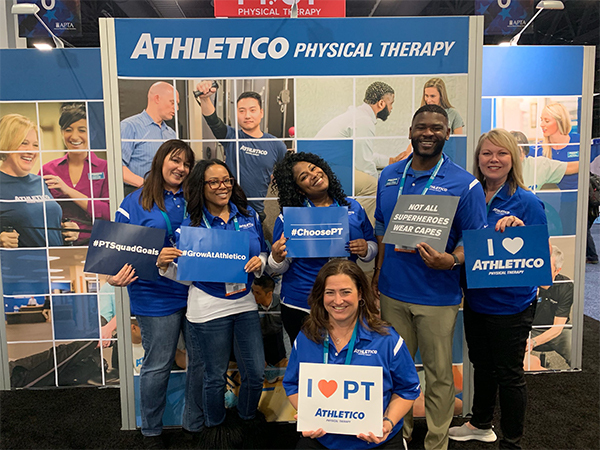 If you have questions or are interested in learning more about joining the Athletico team, please click the button below to visit our careers page!